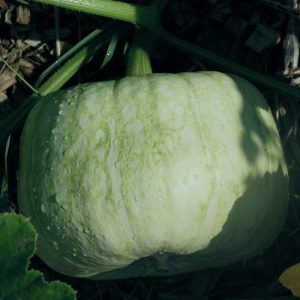 Also called Queensland Blue, this Australian winter squash has flavorful and fragrant orange flesh with pale blue skin. Excellent for soups and other recipes, it will store well during winter at temperature room. This squash is prolific but needs a lot of space to roam in the garden. Very popular a few generations ago, this winter squash almost disappeared in favor of more productive and standard varieties. Its crooked neck was judged ill-suited for industrial commerce and long distance shipping. 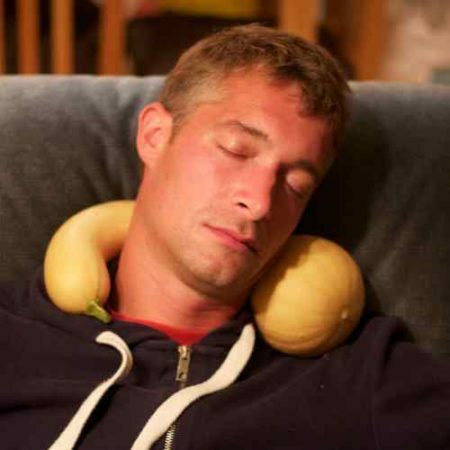 To answer the criteria of modern market, the Canada Crookneck was used to develop the Butternut variety. But Canada Crookneck has a unique flavor. Is is listed on Slow Food Ark of Taste. Excellent in soups, exquisite as chips and fries and so sweet it can be used instead of sweet potato in your recipes. It is slowly making a comeback, thanks to small seed producers. At Terre Promise we hope to grow, save and spread the Canada Crookneck for many years to come!